An initiative that closes the gap on providing rural areas with the telehealth access they need recently passed a major milestone. The Interstate Medical Licensure Compact (IMLC) — a plan devised by a group of state medical board executives, administrators and attorneys to provide cross-state licensure to physicians to bolster telehealth practices — saw its first eight states enact the measure. Now, medical professionals that maintain primary licensure in Alabama, Idaho, Iowa, Kansas, Mississippi, West Virginia, Wisconsin and Wyoming can practice telemedicine in any of the 18 states involved in the compact. The remaining 10 states‚ Arizona, Colorado, Illinois, Minnesota, Nebraska, New Hampshire, Nevada, Pennsylvania, South Dakota and Utah, are still preparing to accept applications for verification and background checks but currently cannot act as the state of principal licensure. Prior to the IMLC, physicians that wanted to provide treatment via telemedicine outside of their primary state had to apply through a separate licensing process — one that varies widely between states and can take years to complete. For additional states to join the IMLC, their state legislature must pass a bill — containing identical language as the states currently in the compact — authorizing it to do so, which then needs to be signed by the government. This is an important step for the telehealth field, which has been seeking parity in comparison to traditional, in-person medicine since its inception. 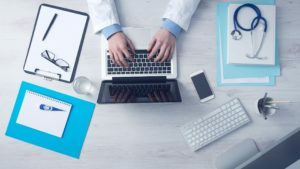 In a 2015 report, the American Hospital Association named licensure one of the major legal and regulatory challenges that could stymie telehealth adoption. Many of the states participating in the compact contain rural populations that have less access to medical care. The National Rural Health Association reported in February that this trend will likely continue, with more than one-third of rural hospitals potentially facing financial instability in the near future, leaving 11.7 million patients at risk of losing their health care access. The IMLC can provide these patients with convenient access to top doctors and specialists, for everything from preventative care to ongoing treatment to emergencies. This compact is a step in the right direction for a medical future democratized by telehealth.